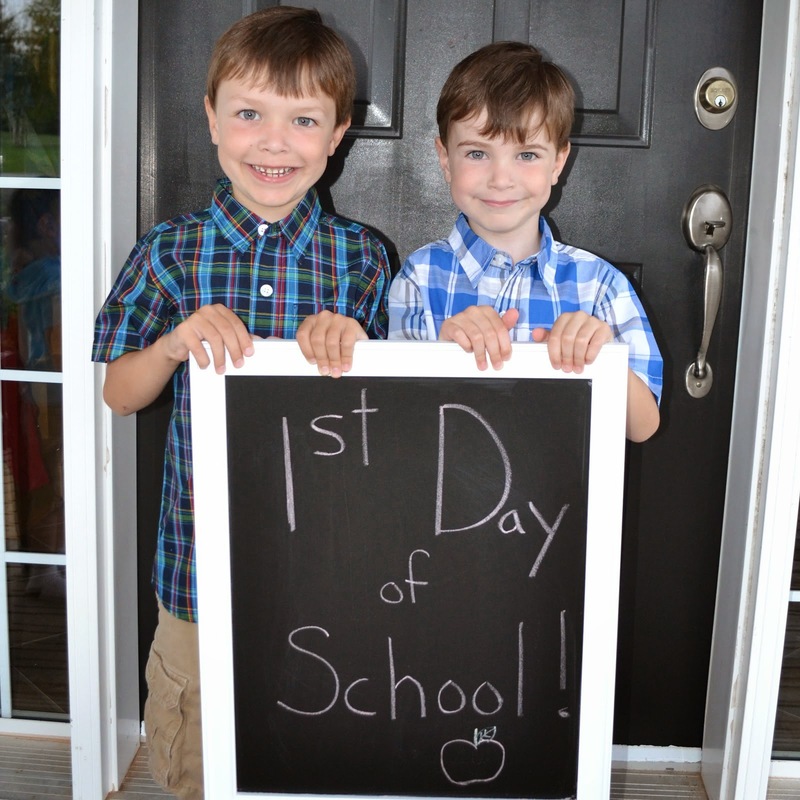 I can't bear to think about sending my boys back to school (when they don't go back until the first week of September), but I know a lot of my readers have children heading back within the next couple of weeks. 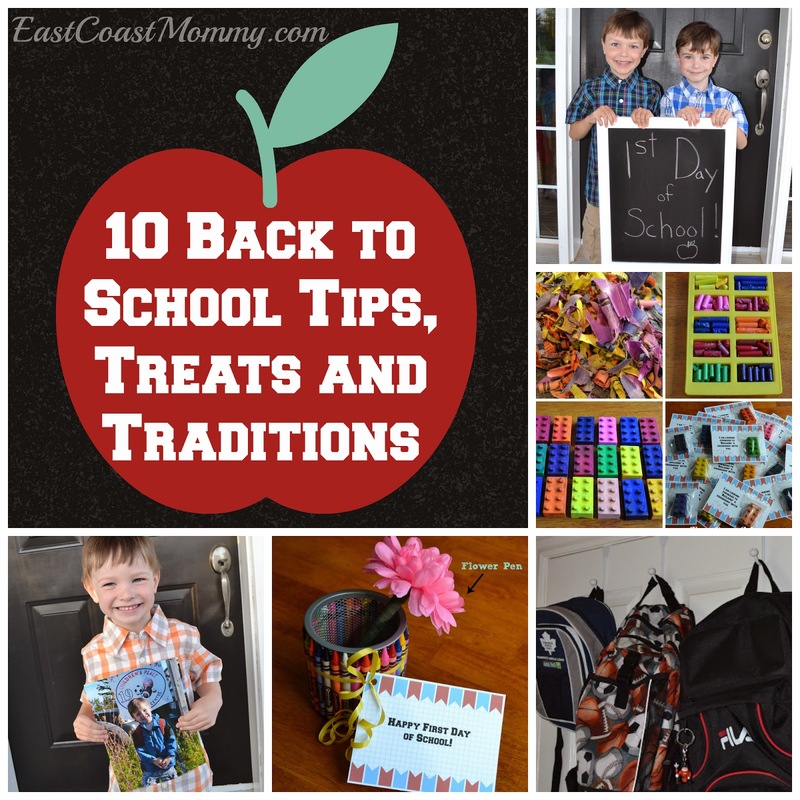 With this in mind, I thought this was a perfect time to share a collection of my favorite back to school tips, treats, and traditions. I still have a month before I have to say good bye to summer, but I know the time will go by quickly. 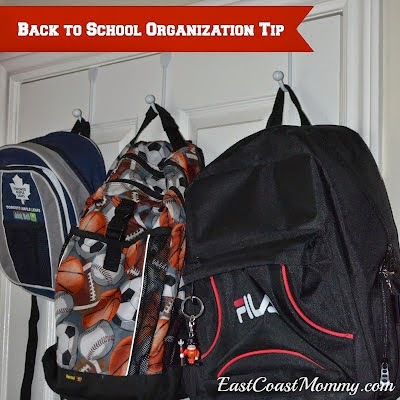 I hope you have more vacation ahead, but if you are heading back to school soon, these tips should be helpful. Don't you just love a party with cute food? 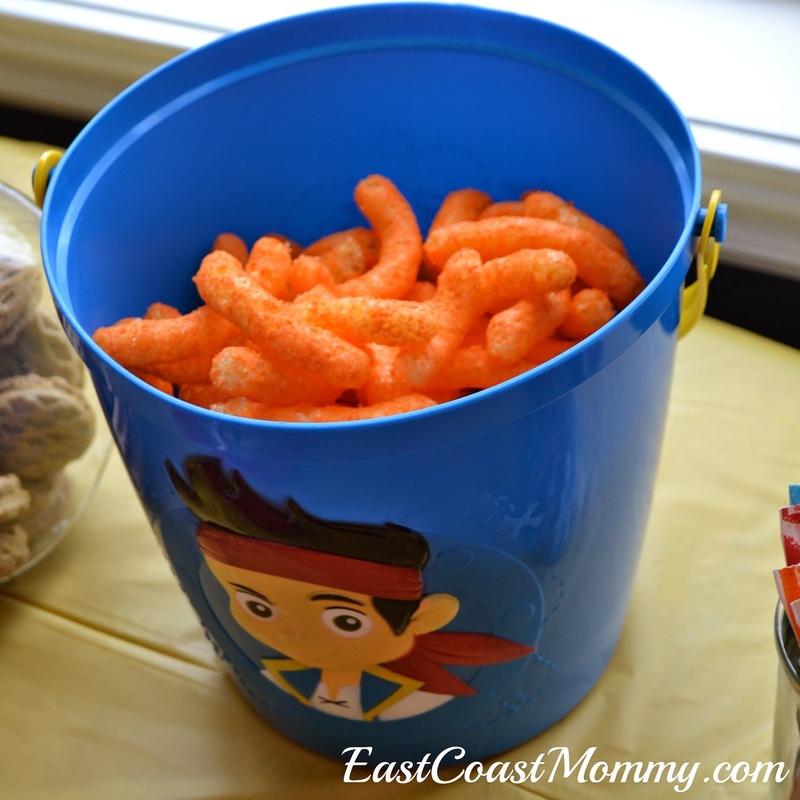 Recently, I had a Jake and the Neverland Pirates party for my youngest son, and although I kept it simple, I think the pirate themed food was adorable! 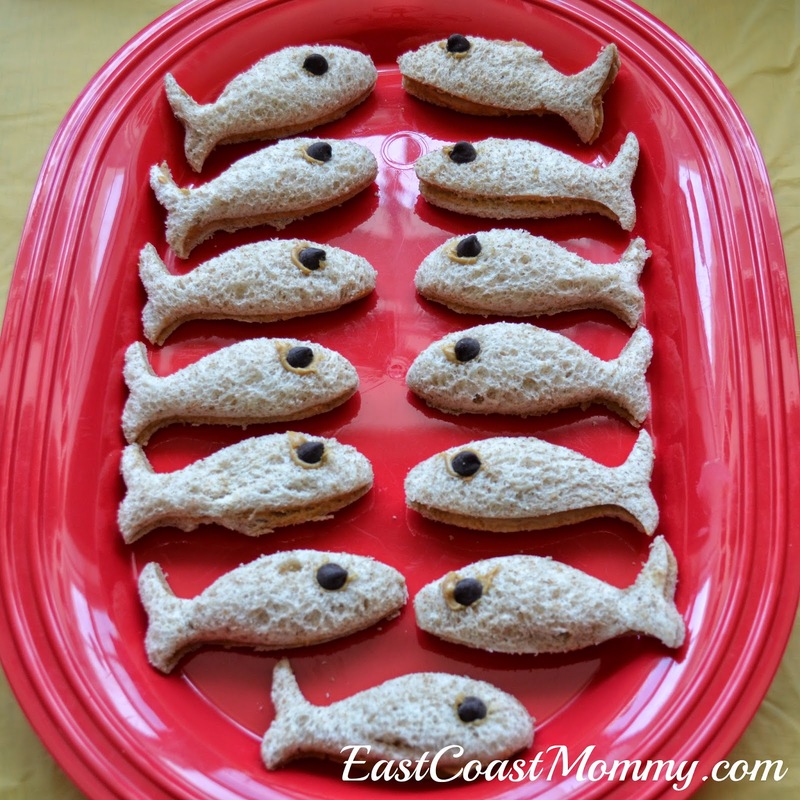 1) "Fish" sandwiches - I made peanut butter sandwiches, cut them out with a cookie cutter, and added a chocolate chip eye. Cute, right? 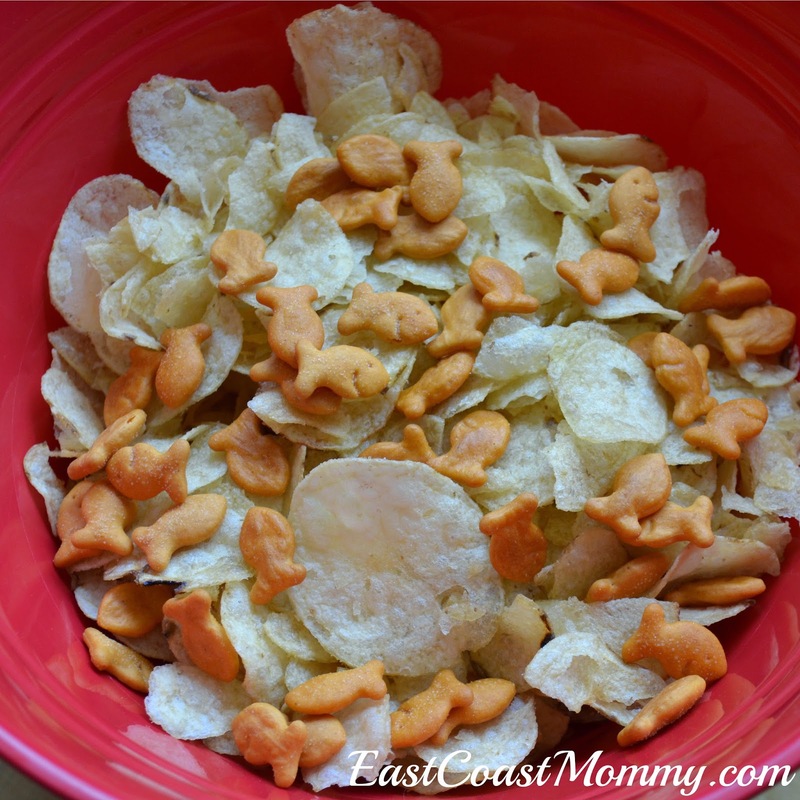 2) Fish and Chips - I threw some salt and vinegar chips and goldfish in a bowl and called it "fish and chips". My 5 year old thought it was hilarious. 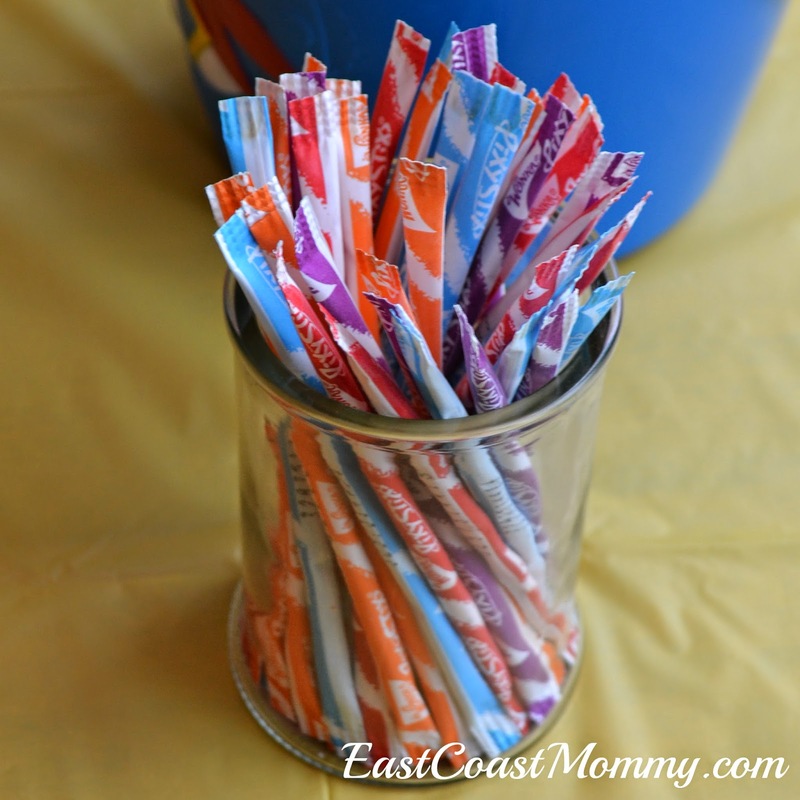 3) Pixie Sticks - Although I am not a big fan of feeding my kids pure sugar. I couldn't resist serving "pixie dust" at a Jake and the Neverland Pirates party. 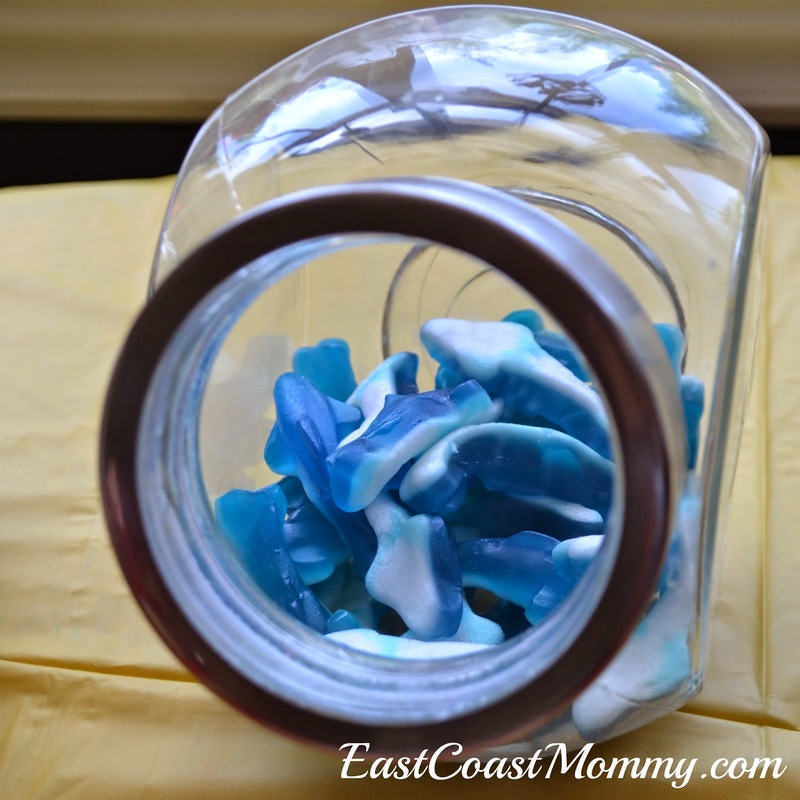 4) Gummy sharks - This is another overly sugary snack, but sharks and pirates just go together, so I had to have a few on the table. 5) Bucket of Cheesies - I bought this bucket on clearance, cleaned it, and filled it with my little guy's favorite treat. Clever, right? 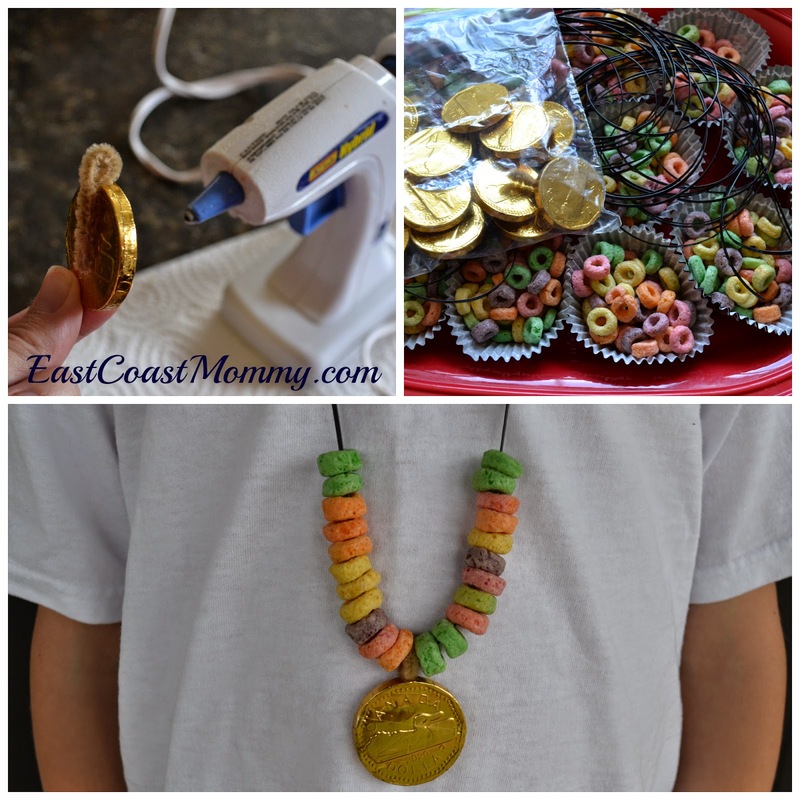 6) Edible Necklaces - The party guests made their own edible necklaces with some cord, froot loops and a gold coin. It's a party craft and a snack. Fun! 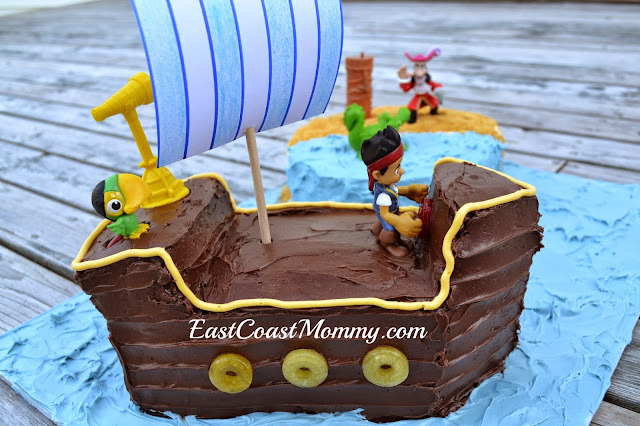 7) Pirate Cake - Every party needs a cake, and this one was adorable. You can find the full tutorial here. 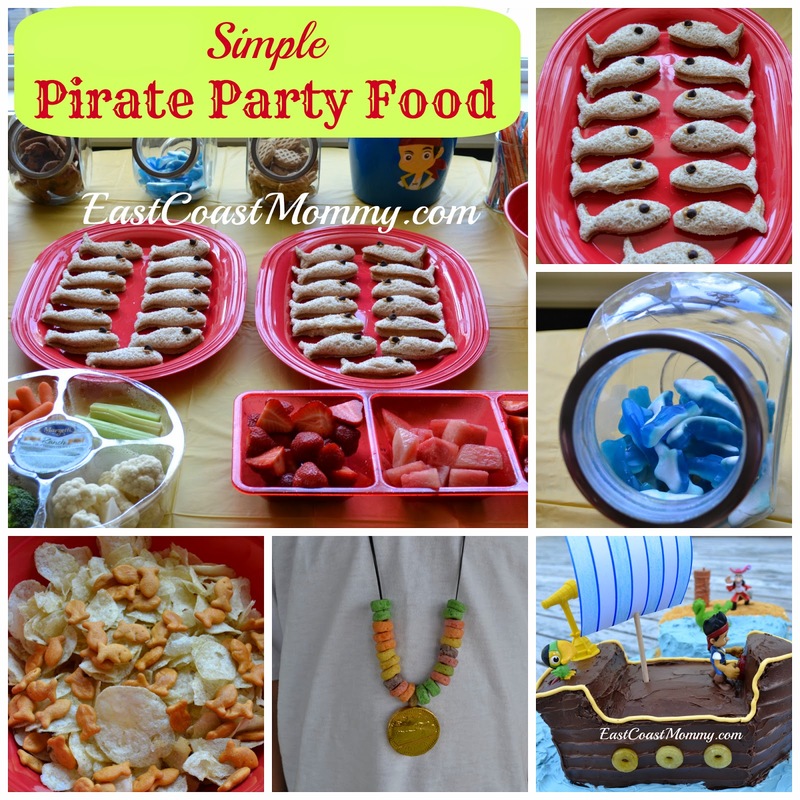 All the pirate party food was a hit with the little party guests. Which one is your favorite? 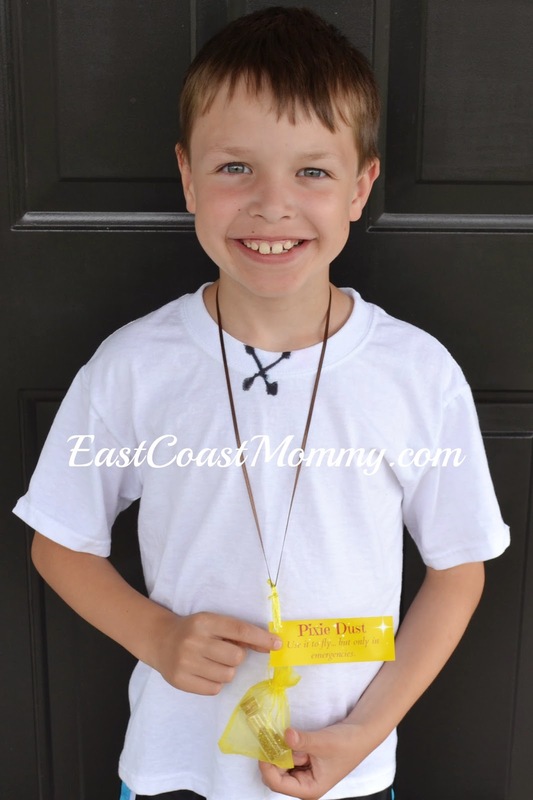 Recently, I threw a 7th birthday party for my middle son. 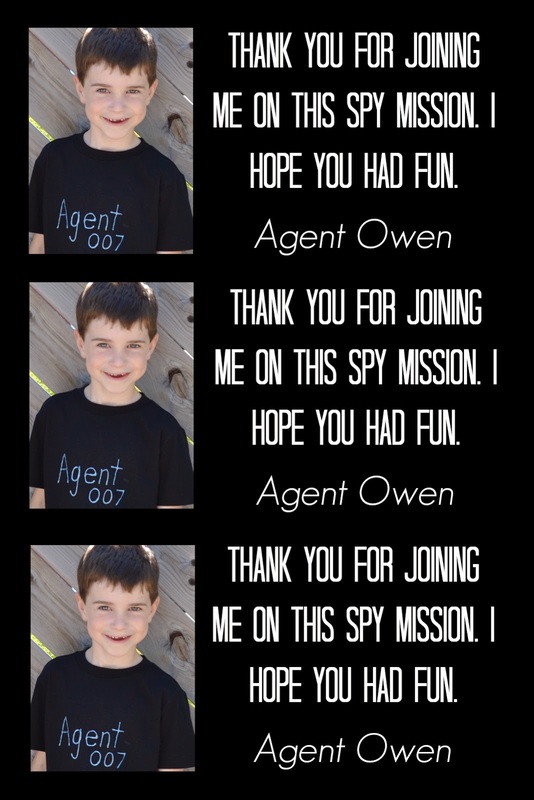 He chose a "spy" theme, and I thought it would be fun to have the boys wear personalized spy t-shirts. I bought 3 plain black shirts at Old Navy for $6 each. 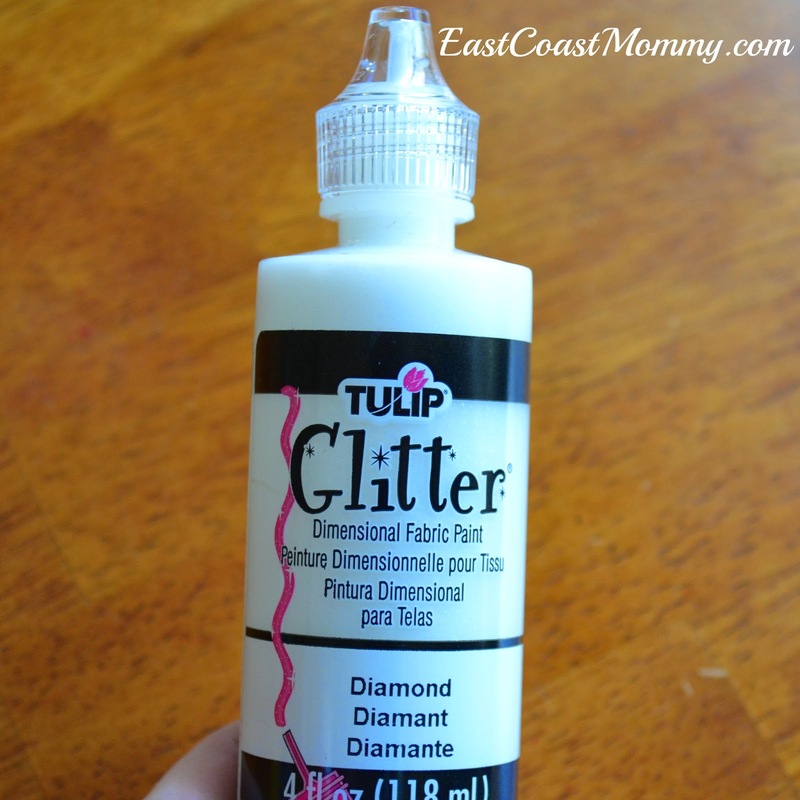 Then, I used dimensional fabric paint to write on each shirt. I used their agents as their secret agent names. Fun, right? 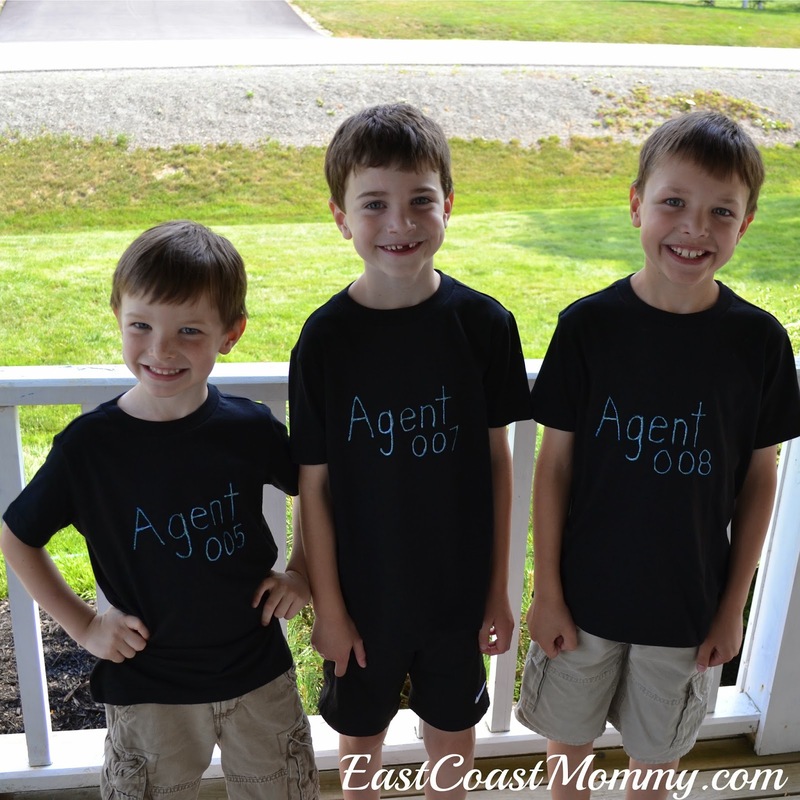 It's a fantastic idea for an adorable personalized spy t-shirt, and it could easily be made into a no sew spy costume for Halloween. Add some black pants, gloves, and a ski mask, and you're good to go! I can't believe that you are turning 7 today. Time goes by so quickly, and I am really making an effort to treasure every moment of your childhood. You are full of energy and life, and I am grateful that I have you for my son. 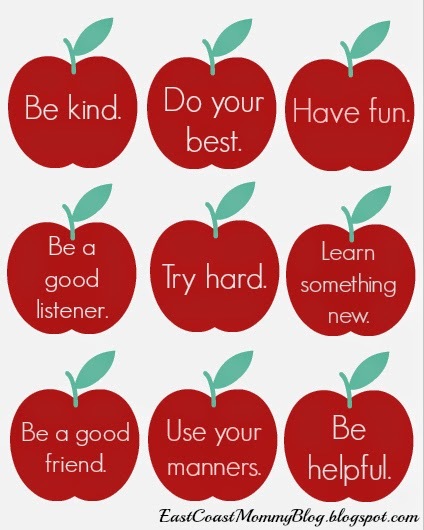 Here are a few reasons that you are such a wonderful little boy. 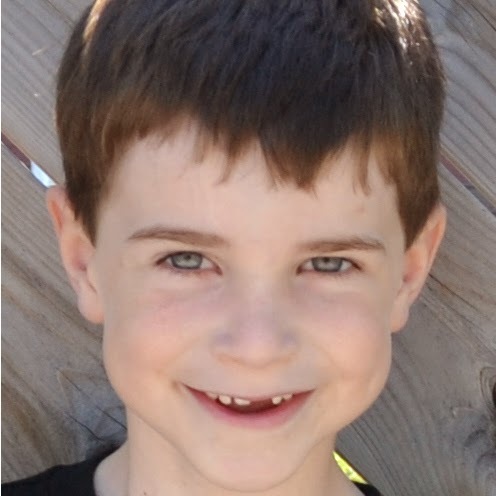 You lost your first teeth this year (three of them)... but you still have a killer smile. Your favorite color is blue, and you love watching Star Wars. You are turning into an excellent reader, and I love all the notes you write me in your "Mommy and Me" journal. You are a natural athlete. You recently won your first trophy at Tir Nan Og (a track meet), and Mommy and Daddy were very proud of you. You are fantastic at fixing and building things. 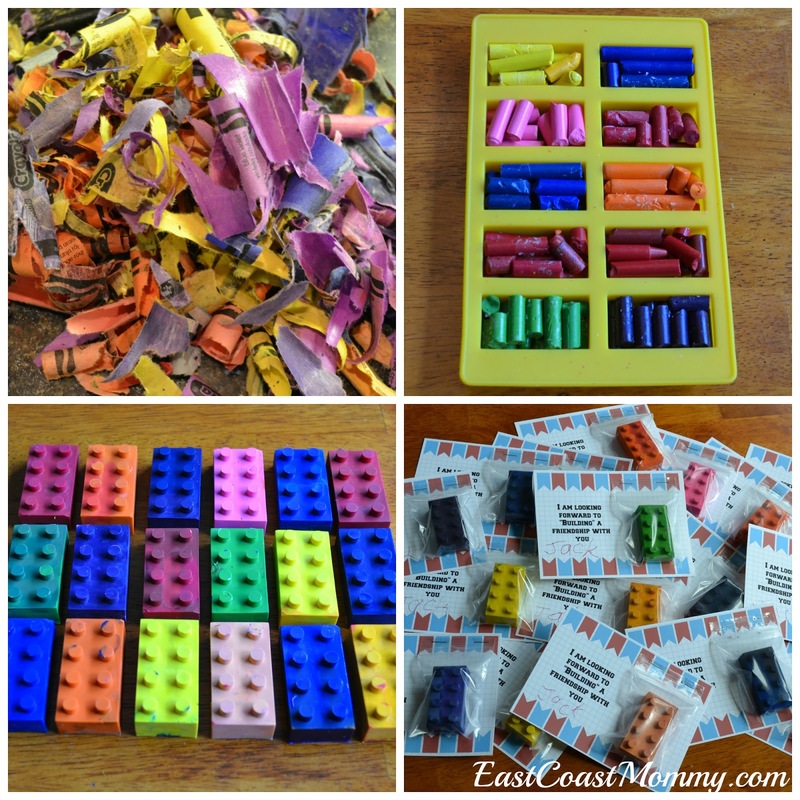 You love LEGO, and you want to "fix things" when you grown up. You have tons of friends. When you go out, you are always waving and smiling at someone you know. You have a really big heart. When I am sick, you give me your "blankie" to make me feel better and you cry at sad movies. You also made cards for everyone on Father's Day so no one would feel left out. I love you to the moon and back... and more each day. My middle son is having his 7th birthday party tomorrow, so I thought a 007 spy cake would be perfect. I am not a professional cake decorator, so I came up with a simple design using two round cakes and one square one. I used Duncan Hines Cake mixes, but I used 2 tbsp less water and half the oil called for in the recipe in order to make the cake more dense and easy to work with. Then, I carefully carved out the numbers, covered them in a crumb coats, and stuck them in the refrigerator. When the icing was firm, I added a finishing coat of frosting. I decorated the cakes with dollar store magnifying glasses, sunglasses, and black icing footprints. Didn't it turn out cute? 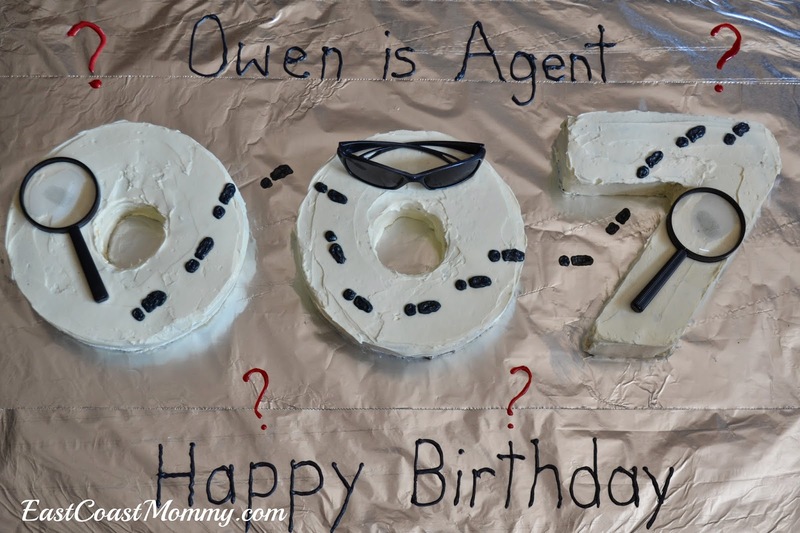 Have you ever had a spy themed birthday? What kind of cake did you have? Each kit contains a notebook, pen, fake moustache, glow stick, laser pointer and glasses. Fun, right? 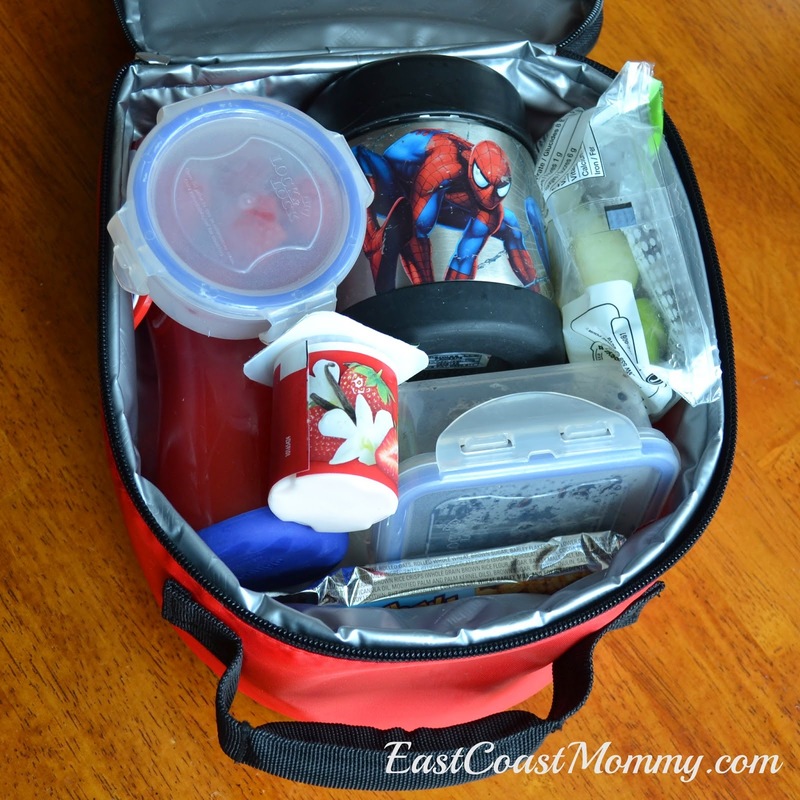 I packaged each kit in a brown lunch bag, stamped it "top secret", and added a cute tag I made in Picmonkey. 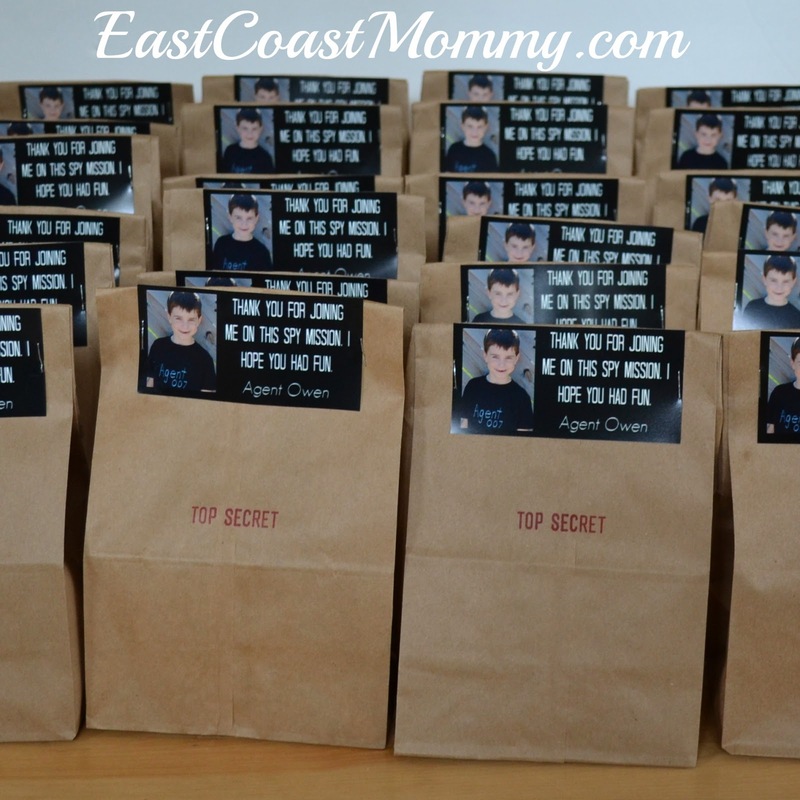 I think all the guests of the party will be thrilled with their spy kit loot bags, and I know my little birthday boy will be excited to give them out to his friends. 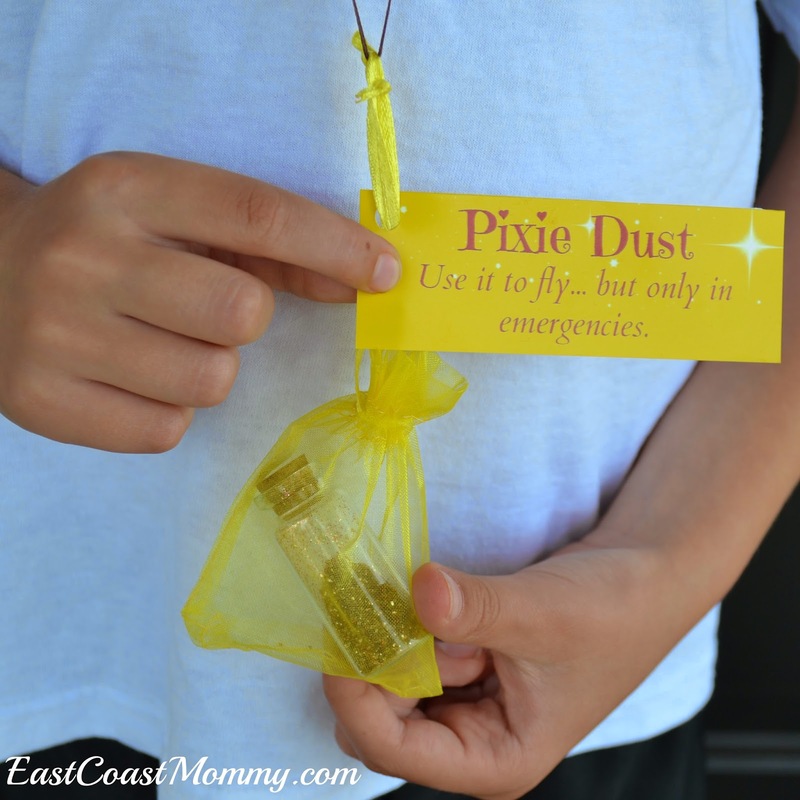 We recently had a Jake and the Neverland Pirates party, and because I think it is fun to send the guests off with some fun party favors, I made some inexpensive pixie dust pouches. I purchased some little glass jars at the dollar store (6 for $1.00) and half filled them with red and gold glitter. Then, I put them in small yellow bags, and added a cord necklace. I finished them off with a cute little tag I designed. To print your own tags, right click on the picture below, save it to your computer, and print it like a normal 4 X 6 photo. Obviously these aren't for unsupervised use or for young children. Anything that goes around a child's neck can be dangerous if worn while playing. 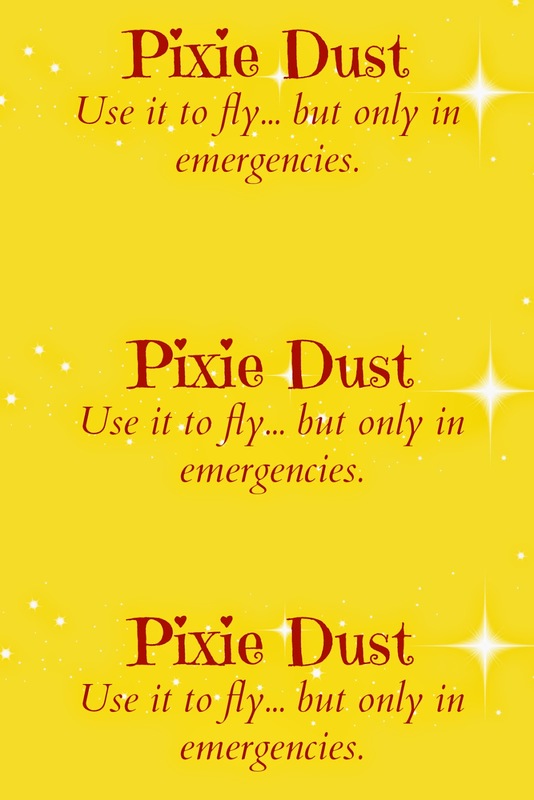 I think these pixie dust pouches were a fun addition to our little party. Do you have a little Jake and the Neverland Pirates fan that would enjoy these magical accessories? Fun, right? Can you believe this is a cake mix and pre-made frosting? I started with 2 Duncan Hines mixes (chocolate for the boat and white for the island... but I cut the oil in half and subtracted 2 tbsp of water to make the cake a little more dense and easy to work with. 1) Make one 9 X 13 chocolate cake and two 8" round white cakes. The rectangle cake is for the ship, and the round cakes are for the island. 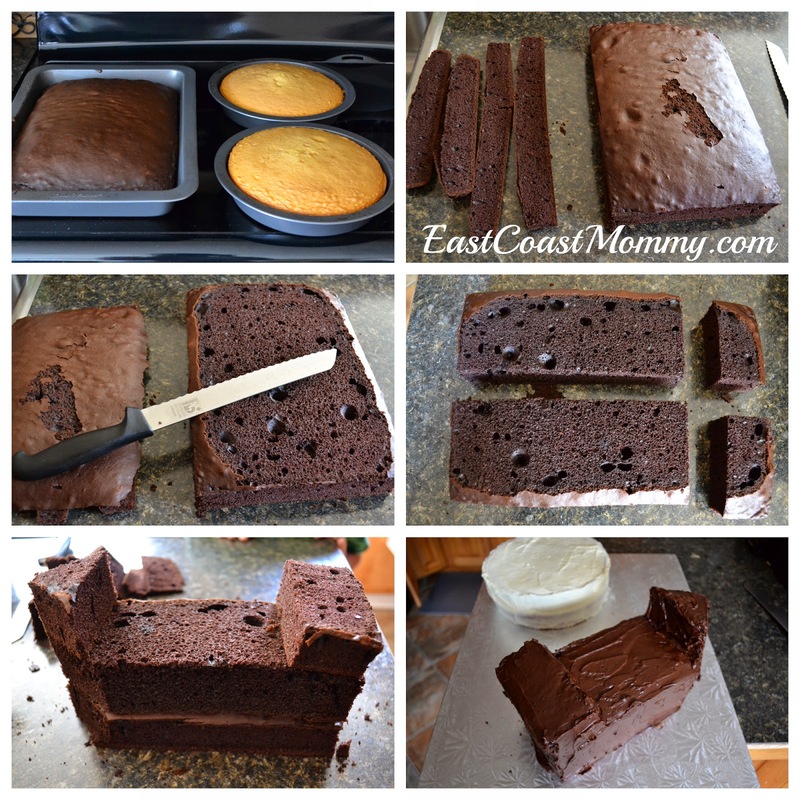 2) Allow to cool completely, and then trim the chocolate cake to make a perfect rectangle. 3) Use a serrated knife to cut the top off the cake. 4) Cut the rectangle in half (lengthwise), and then cut 2-3 inches off the top. 6) Cut a triangle shape out of the front of the boat. 7) Lay one of the round cakes on top of the other (with icing in between), and then cover both the "boat cake" and the "island cake" (gently) with "crumb coats" of icing. Refrigerate until the icing is solid and easy to decorate. 1) Frost the cake with chocolate icing, and use a knife to carve "planks" into the cake. 2) Trim the boat with yellow icing, and add a red lifesaver steering wheel and yellow lifesaver windows. 3) Finished the boat by adding a paper sail on a dowel and some little plastic toys. 1) Frost half the cake with blue icing and create little waves with the knife. 2) Cover the other half of the cake with graham cracker crumbs. 3) Finish the island by added some little plastic toys. Finally, to finish off the masterpiece, cover the cake board with blue icing, and create tons of waves with your knife. That's it! There are quite few steps, but nothing too complicated, and the result is totally worth the effort. My little guy could not have been more pleased with his cake! 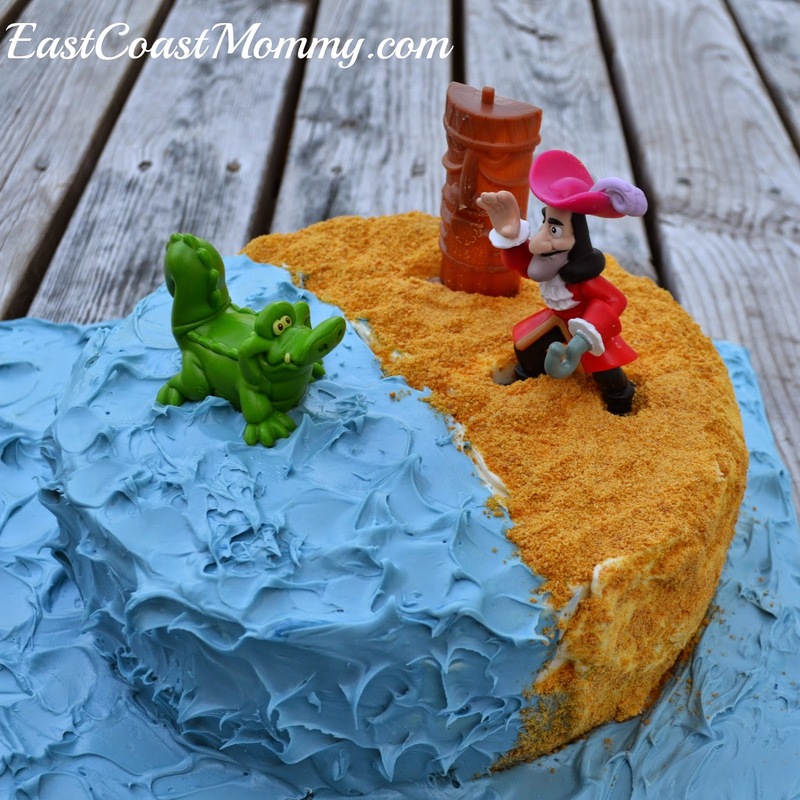 If you make a version of this Jake and the Neverland Pirates cake, please let me know. I'd love to hear how it turned out. Follow East Coast Mommy's board DIY Cakes on Pinterest. 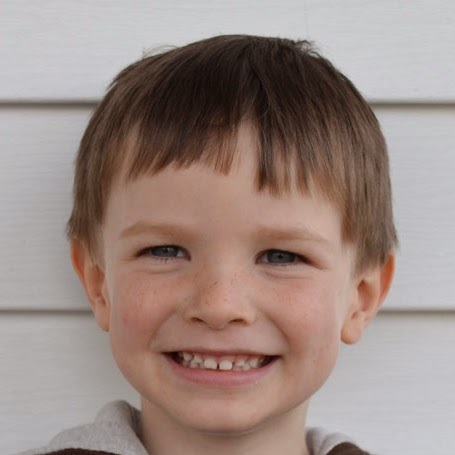 Today, my "baby boy" turns five, and in keeping with family tradition, I wrote him a birthday letter as a way of remembering a few of the little details that make him so special. Here is my birthday letter to my youngest son on his 5th birthday. You love to snuggle on the couch (with "big blanket") and read stories. When you grow up, you want to be an "X-Men" hockey player, and you want to be #11 (like your older brother). You are super-funny, and you always like to make Daddy and I (and your brothers) laugh. Your favorite color is green, and you always want to eat your cereal out of a green bowl. 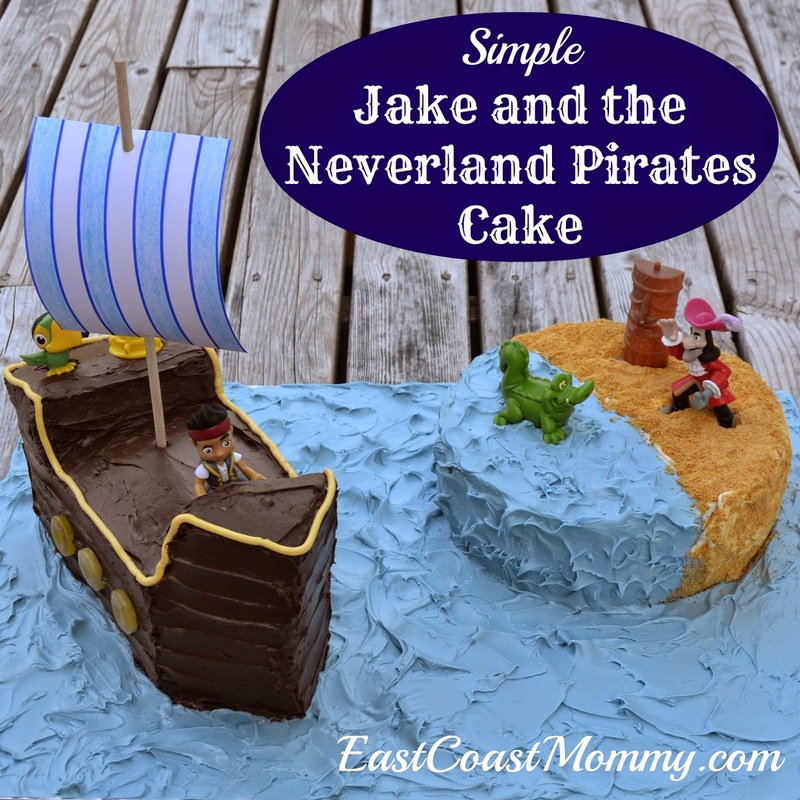 Your favorite show is Jake and the Neverland Pirates, and you chose it as the theme of your birthday party this year. You love music, and I often catch you singing when you don't think anyone is listening. You love playing hockey, soccer and baseball... and you are so happy that it is finally "your turn" to have your own teams and jerseys... instead of being dragged around to all your brothers' practices. You stick your tongue out when you are concentrating. You are shy with people you don't know, but you really come out of your shell around family and friends... and when you get on a stage. You always ask me to sing you a "soft song" when you go to bed, and your favorite is "Mum-a-bye" (aka "Hush Little Baby"). I love that you still play with my hair as I sing. I love you all the way to the moon and back... plus a little more each year. One of the items on our summer checklist this year is... make a summer reading list. First, the boys and I came up with a list, and now we will get the books from the library and read them together. 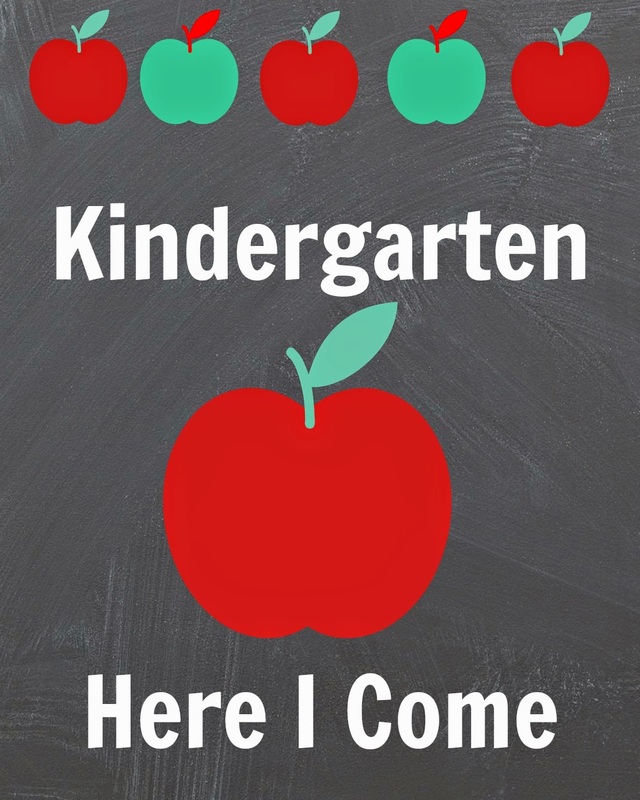 Today I am sharing our new summer reading list. Fun, right? 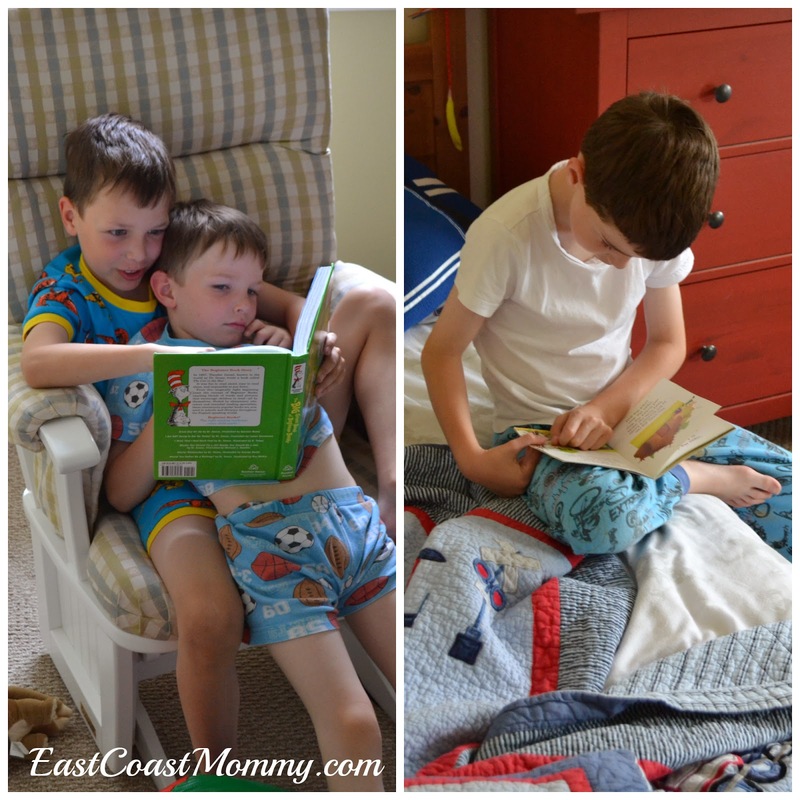 Don't you just love seeing your children reading during the summer months. I know I do! 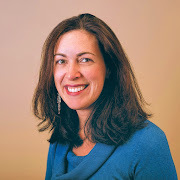 To download a copy of our list, right click on the picture above, save it to your computer, and print it like a regular photo. 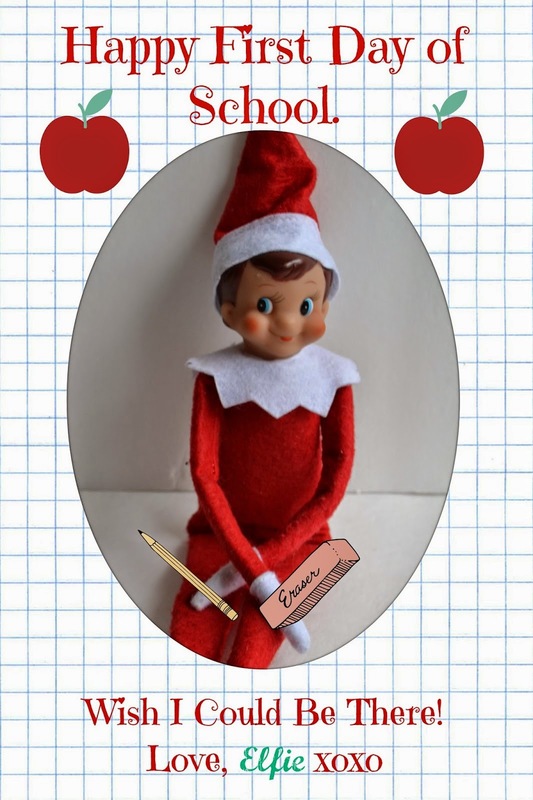 Or... why not try making your own list? 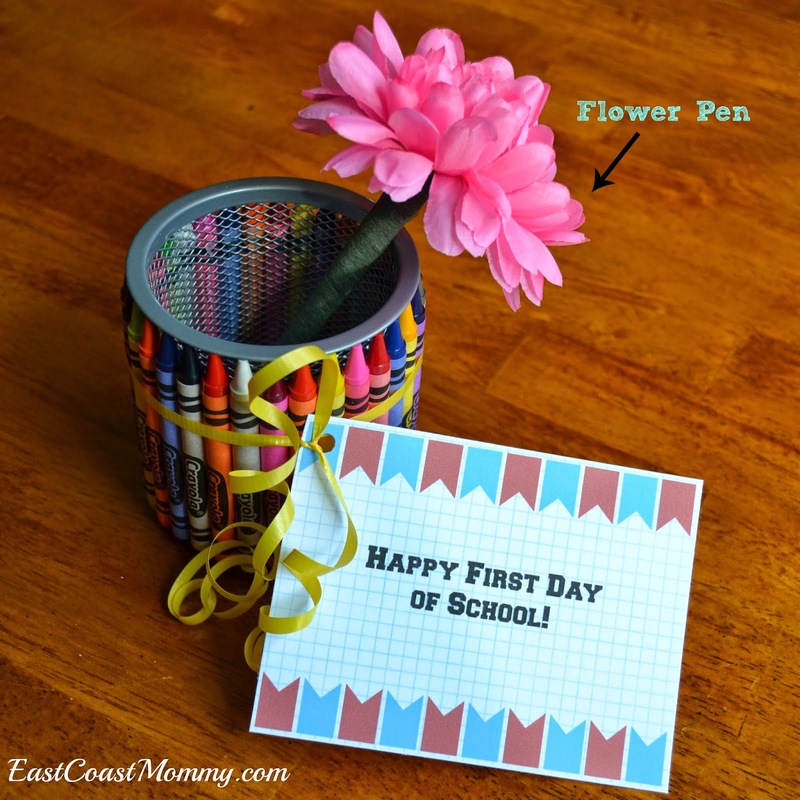 I bet your little ones have tons of great ideas. 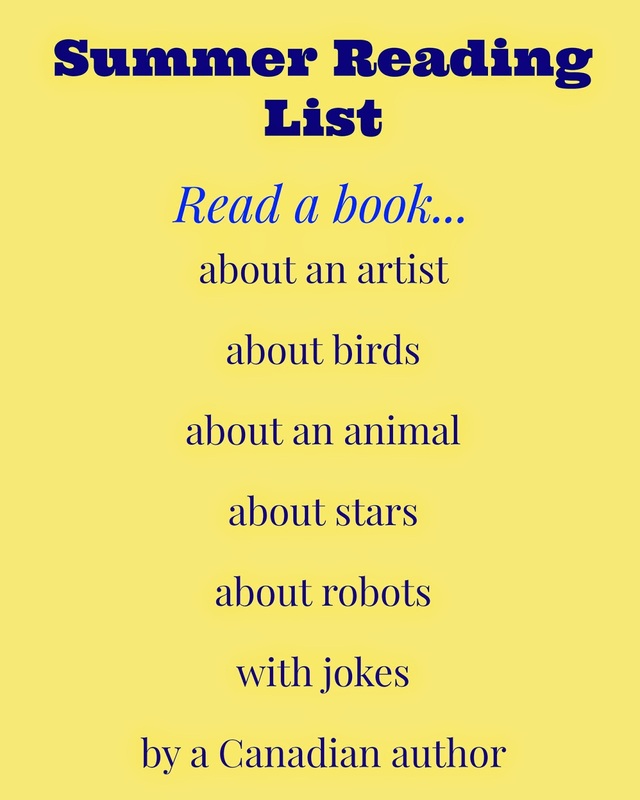 I think creating a summer reading list is a great way to encourage kids to read (and help prevent the "summer slide"). What are your best tips? 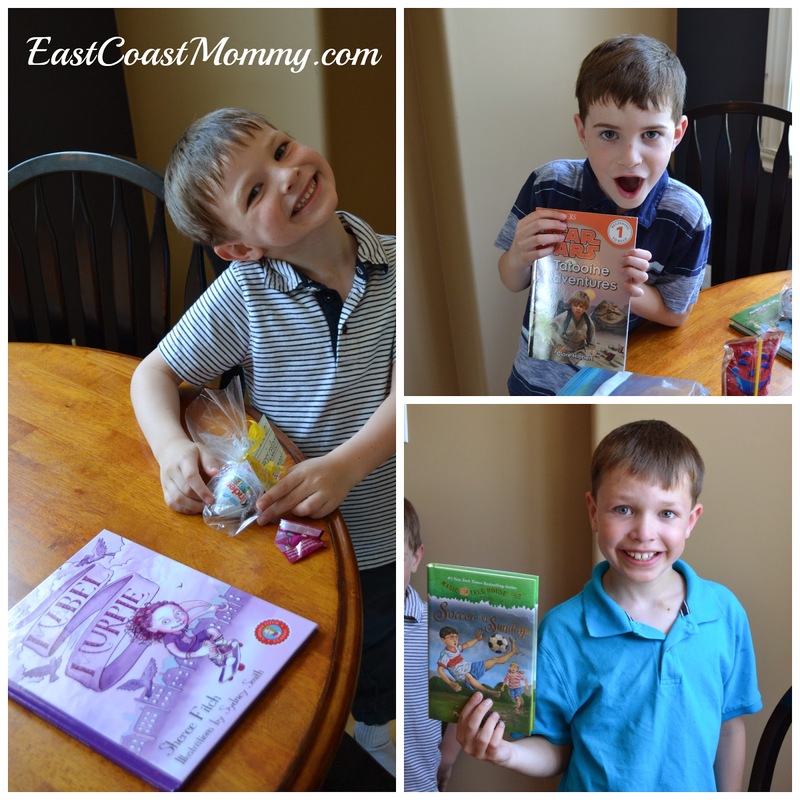 Loot bags are always a challenge for me when I am planning a party for my boys. I want to give the guests something that goes with the party theme, but I like to choose something that won't end up in the garbage as soon as they get home. 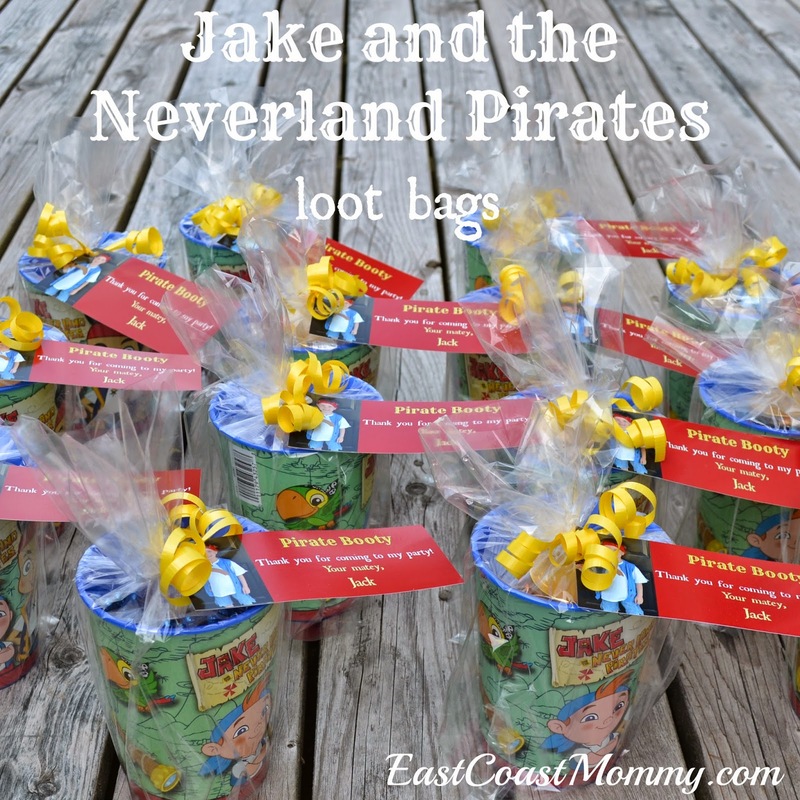 Here is the loot bag idea that I came up with for my son's Jake and the Neverland Pirates party. I found reusable cups at Walmart for $1 each. Then, I added a little bag of cookies, a beaded necklace, and a gold coin. 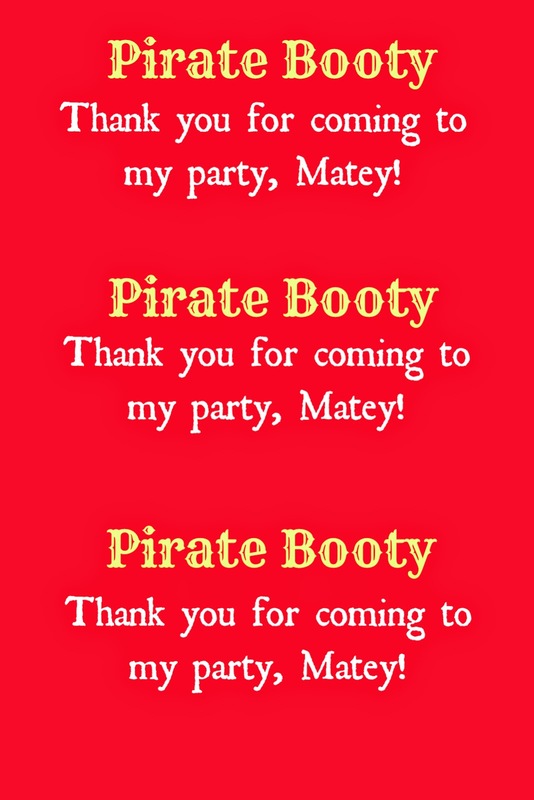 I made custom tags on Picmonkey, but if you would rather something you can just print easily, you can use the generic "pirate booty" tag that I designed. Just right-click on the picture below, save it to your computer, and print it like a regular 4 X 6 photo. 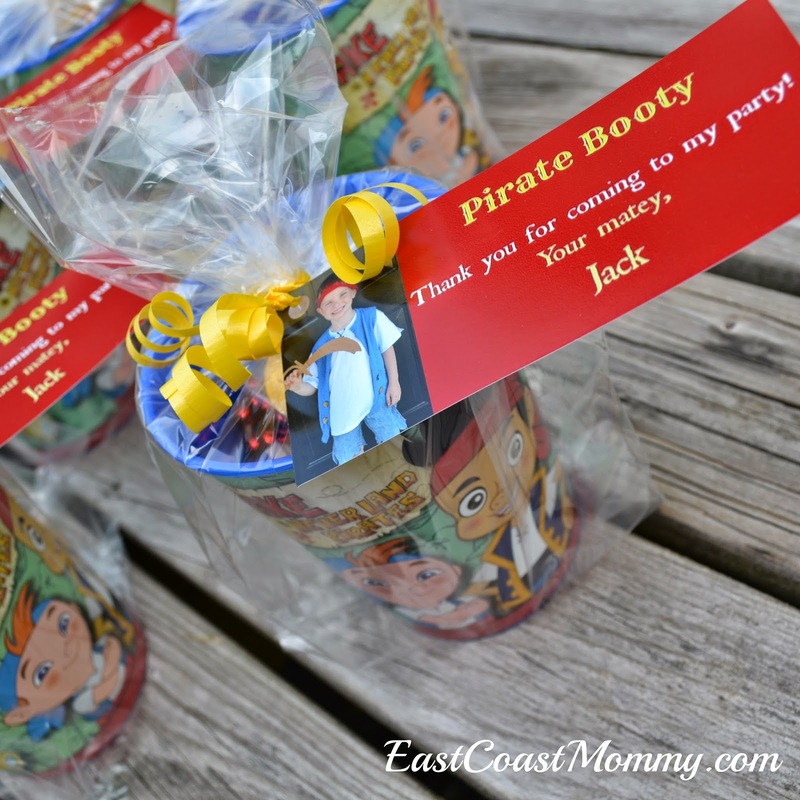 I hope the party guests will really like this Jake and the Neverland Pirates loot bag. I know my little birthday boy is excited to share them with his friends. I am planning a Jake and the Neverland Pirate party for my youngest son, and I thought it would be fun to make pirate hooks for all the party guests. After the party, the hooks (that don't go home with our guests) will be added to our "dress up bin". We love playing pirates! 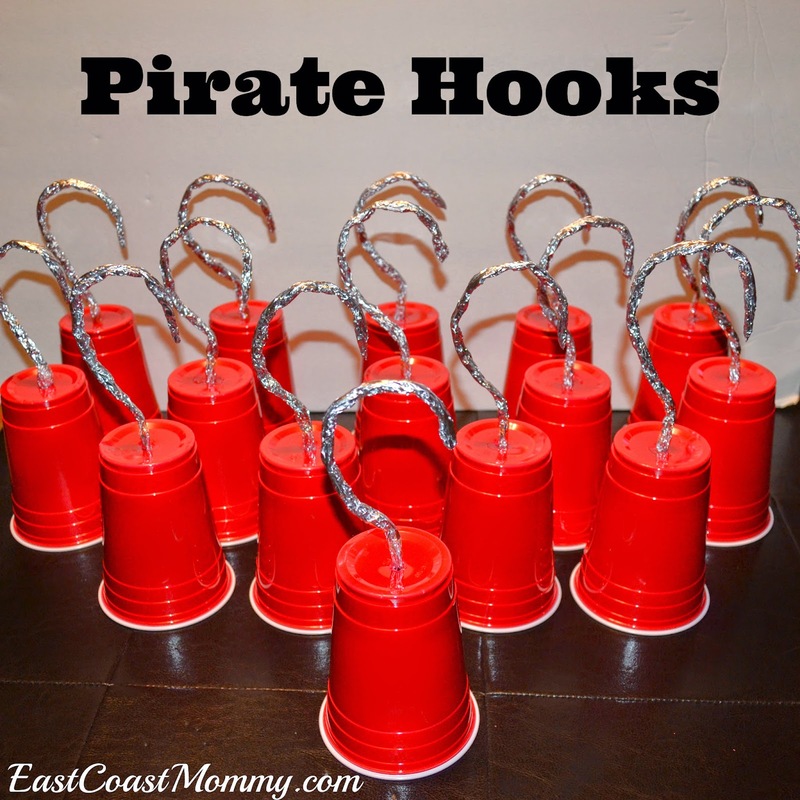 Want to make your own pirate hooks from cups and tin foil? 1) Start with a square piece of tin foil. 2) Roll up the tin foil and "squish it". 3) Cut a little hole in the bottom of the cup. Make sure it isn't too big. The tin foil needs to fit tightly in order to stay in place. 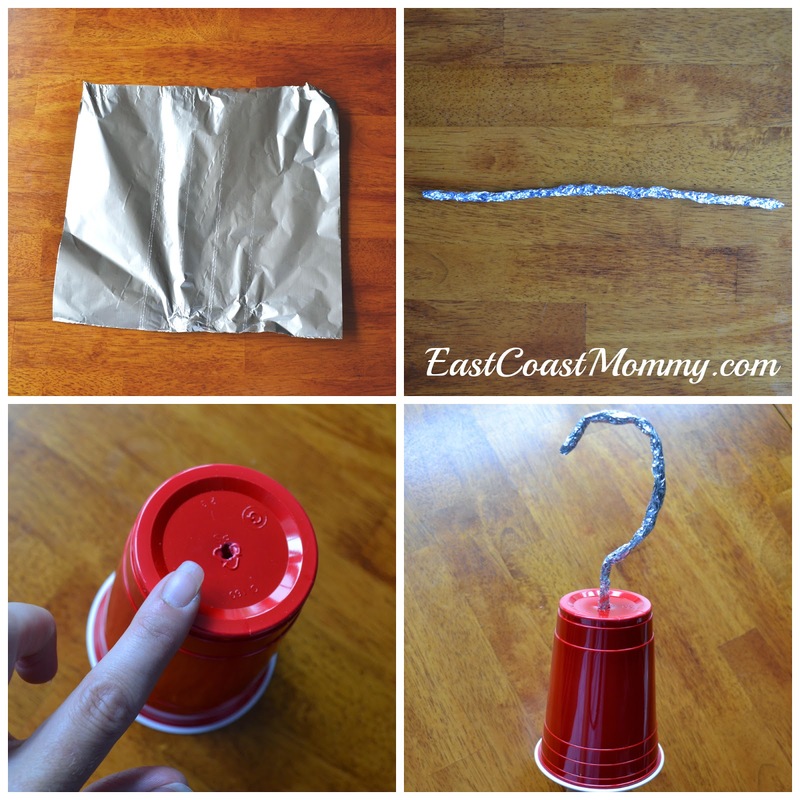 4) Place the foil through the hole, pull through, and twist into the shape of a hook. That's it! Do you have a little pirate that would love dressing up with this pirate hook? 1) Use a serrated bread knife to cut a pool noodle into short pieces. I made mine slightly taller than the width of the duck tape. 2) Cut the top off a balloon with a pair of scissors. 3) Place the balloon onto the pool noodle, and tie the top into a knot. 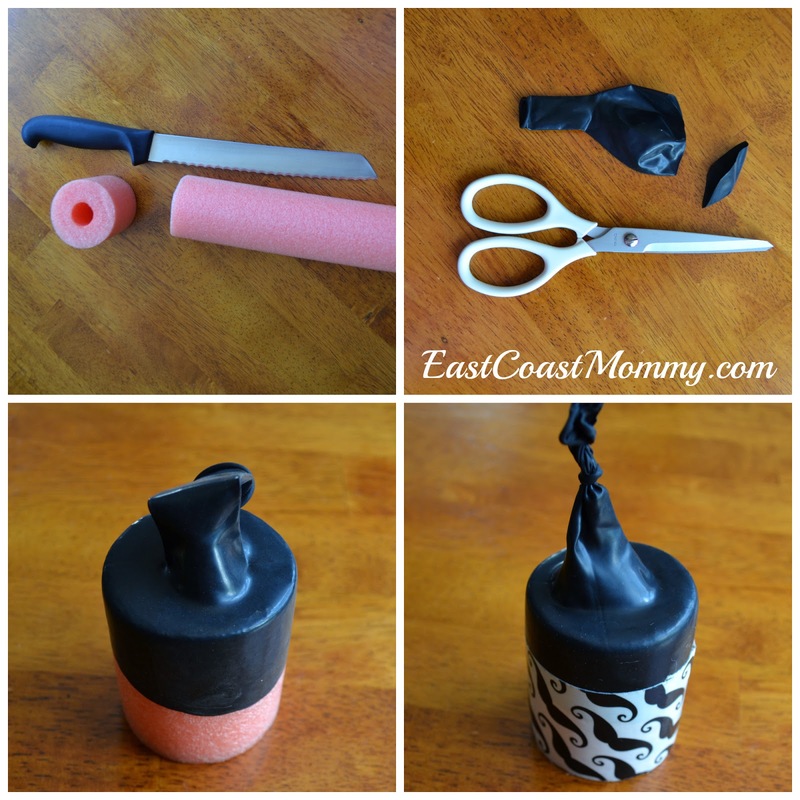 4) Secure the balloon to the pool noodle with duck tape. 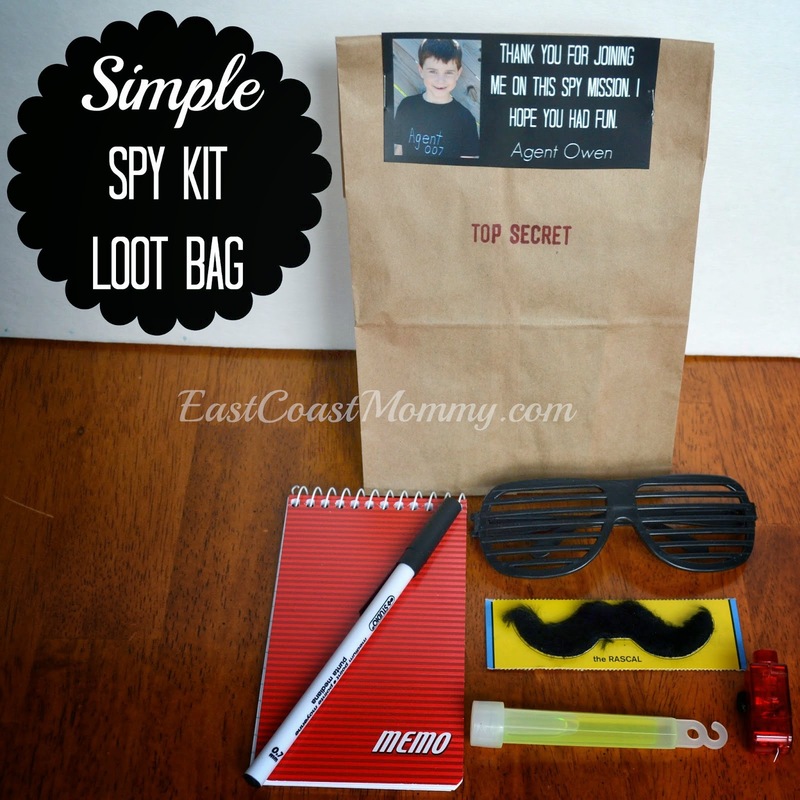 These are perfect for my son's spy party, but they would be fun any time. My boys have been playing with them ever since I made them. 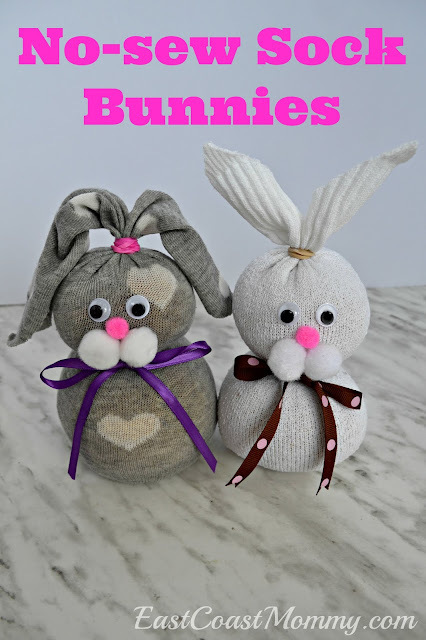 Trust me... they will keep your little ones entertained for hours! 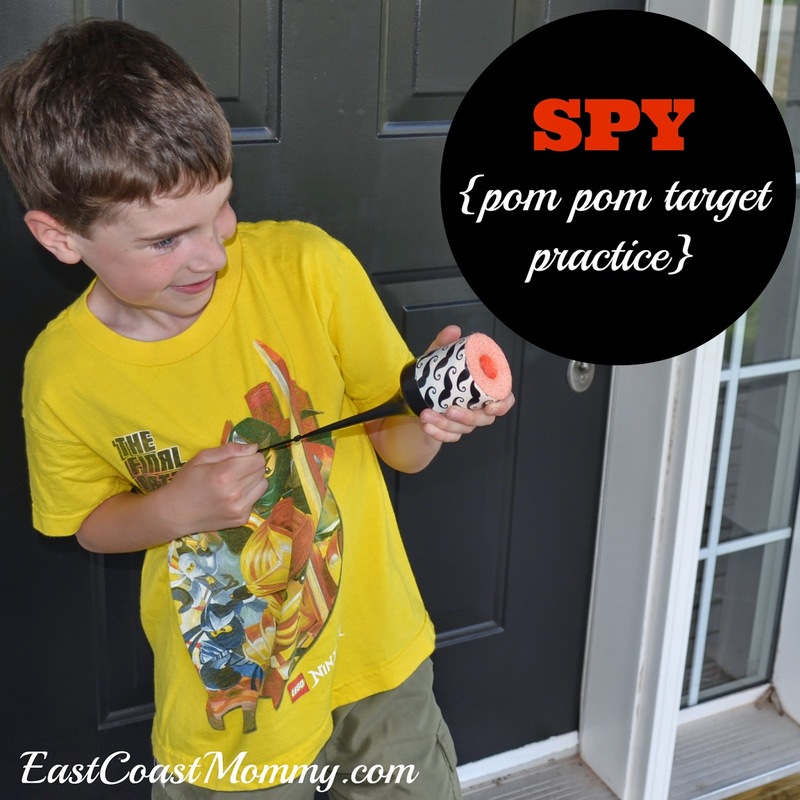 Do you have a little one that would like these pool noodle pom pom shooters? 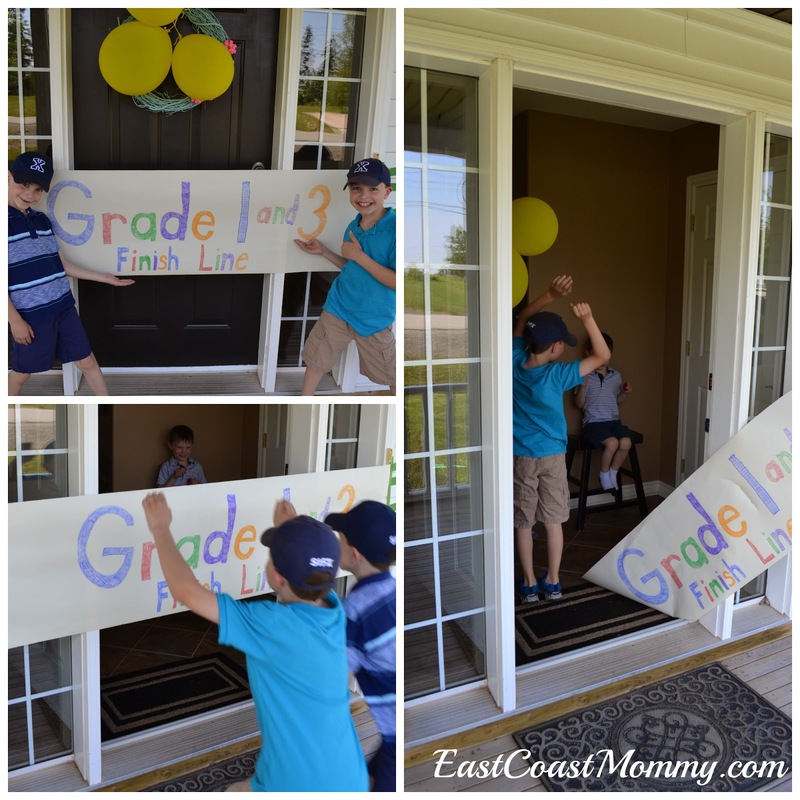 Monday was the last day of school for my two oldest boys, and we had a lot of fun marking the special day. Here is how we celebrate the last day of school in our home. 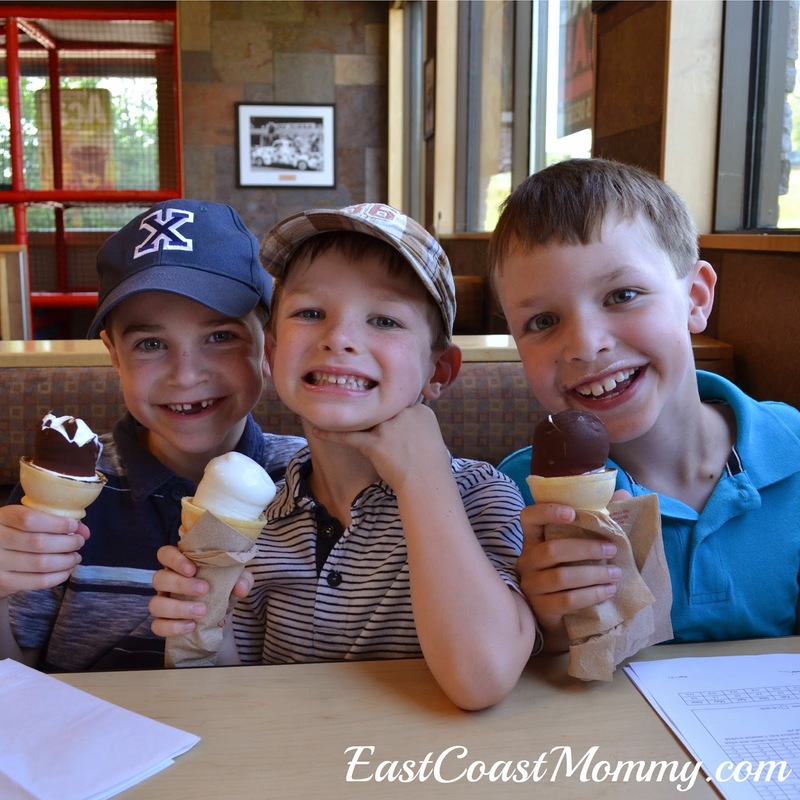 First, I always pick my boys up from school, and we go for ice cream. Then, the boys run through a "finish line". I think it is a lot of fun to have end of the year traditions, don't you? I don't do grading gifts, but I did treat the boys to new books and a special treat. 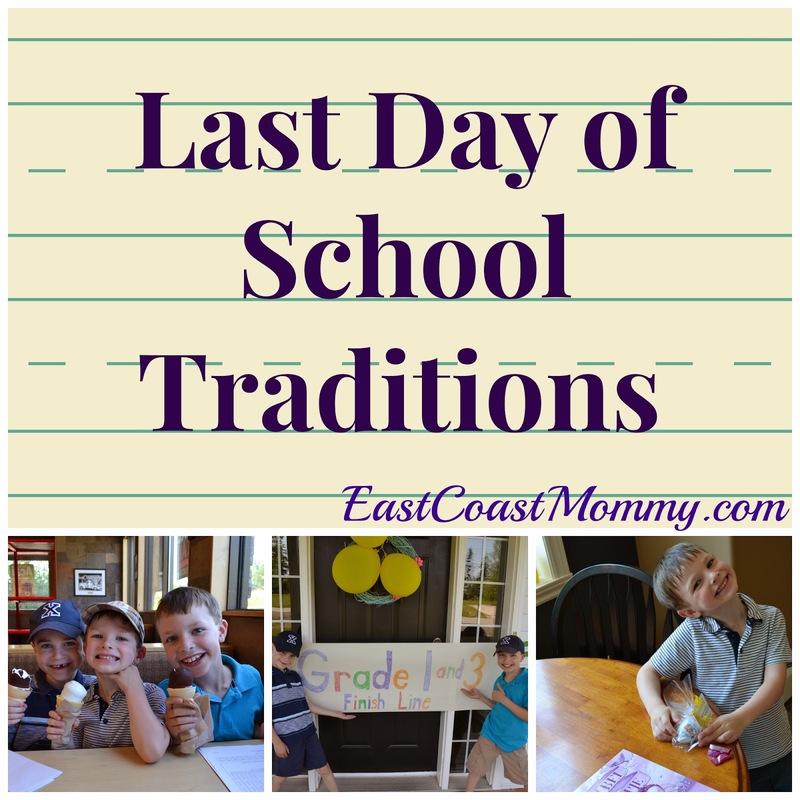 How does your family celebrate the last day of school?